AU Roofing will lead a detailed consultation with you to select and plan the right roof for your requirements. AU Roofing will listen to what you would like and advise options for you to consider based on suitability and budget. AU Roofing have extensive experience to also offer design solutions to meet your needs. For AU Roofing, the customer comes first and we will offer advice and guidance throughout your roofing project. We aim to provide you with a detailed quote following your initial consultation within 3 days for your consideration, follow up visits to refine the quotation can also be arranged. AU Roofing will provide you with comprehensive job sheets and work schedule so you know what is going to happen and when. AU Roofing are proud to offer a 10-year guarantee for all new works and provide a fully insured service. 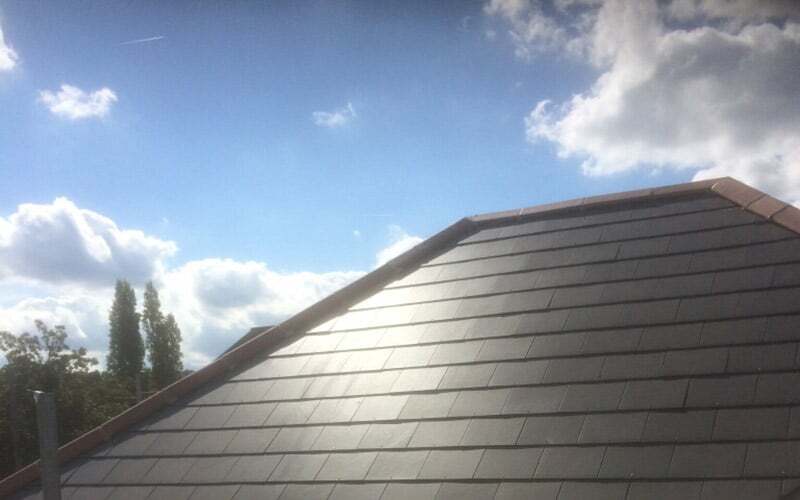 AU Roofing offer pitched roofs using Slate (Manmade or natural) or regular roof tiles. AU Roofing will manage your roofing project removing all existing coverings and replacing all felt and batons. AU Roofing also offer profile roofing for industrial units. AU Roofing ensure only approved quality materials are used. AU Roofing recently carried out extensive works for me consisting of a new living room extension, garage conversion, internal renovations to bedrooms and bathrooms, and full house decoration. The work was carried out to a high standard and I found them professional, polite, respectful - basically everything they claim to be on their website. I work full-time so also very much appreciated their project management skills of such a large building project and felt completely at ease for them to have the keys to my property. Given their helpful, friendly approach, coupled with their high work ethic and quality workmanship I would have no hesitation at all in endorsing their work.